Havana (Agenzia Fides) – To have a vision of the Cuban reality, and proceed in the name of "synodality" with the sister Churches of the South and Central America, elaborating the guidelines of pastoral action that will guide the life of the Church on the island: it is with this approach that the Episcopal Conference of Cuba held the extraordinary Assembly in Havana from May 28 to 30. As reported to Agenzia Fides, it was a meeting of study, reflection and work of pastoral organization, characterized by "collegiality". An initial study session led by the President of the Conference Mgr. Emilio Aranguren Echeverría, Bishop of Holguín, focused on what to live collegiality and synodality means, illustrating and commenting the text published by the International Theological Commission "Synodality in the life and mission of the Church". 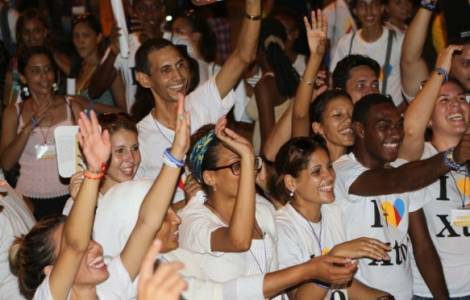 AMERICA/PERU - The work of the Assembly of Bishops begins: "Synodality belongs to the whole Church"
AMERICA/BRAZIL - Synod for the Pan-Amazon region, a Tuyuka priest: "The Church promotes and enhances indigenous peoples"